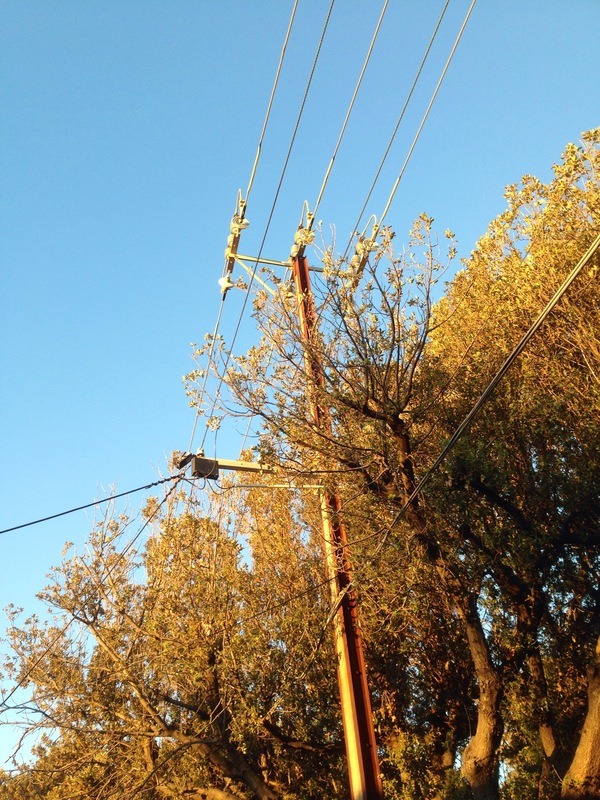 Converging wires on a stobie pole- a kind of concrete sandwich with steel bread, an Adelaide invention that powers our lives. Oh dear, electricity in the jungle! Good one! Jungle? That’s outside my house!